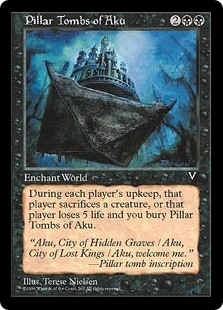 Pillar Tombs of Aku ($0.34) Price History from major stores - Visions - MTGPrice.com Values for Ebay, Amazon and hobby stores! 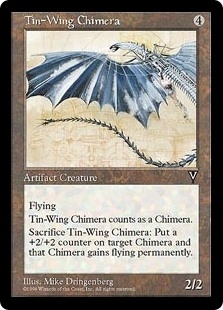 Card Text: At the beginning of each player's upkeep, that player may sacrifice a creature. If that player doesn't, he or she loses 5 life and you sacrifice Pillar Tombs of Aku.